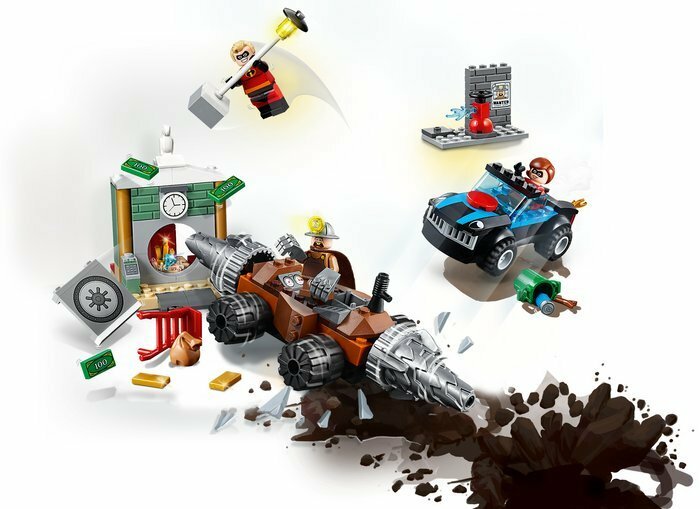 Defend Metroville’s bank vault from the Underminer! 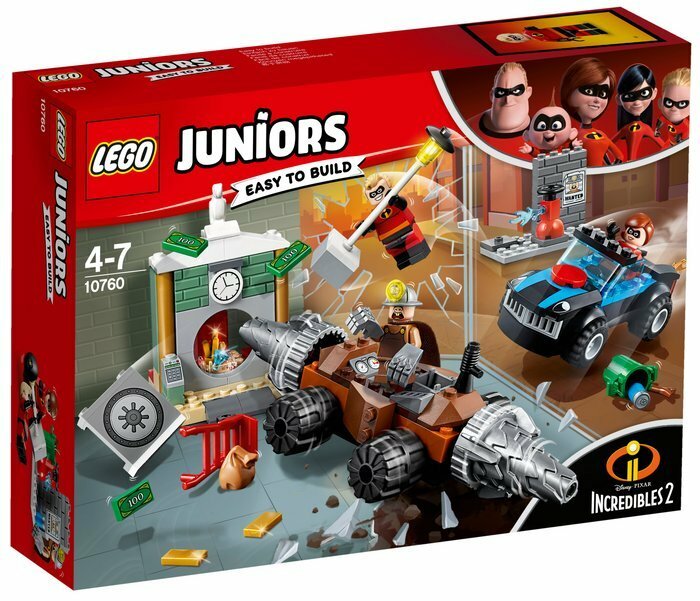 Fire up your child's imagination for some LEGO® Juniors The Incredibles 2 excitement, with this thrilling Underminer Bank Heist set, featuring a bank vault with breakaway door, Incredibile vehicle with Quick Start chassis, Tunneler machine with Quick Start chassis and spinning drill bits, plus a street build with brick wall, wanted poster and buildable streetlamp. This fun toy for boys and girls also includes a simple guide to build and play, to help build confidence in children ages 4-5. 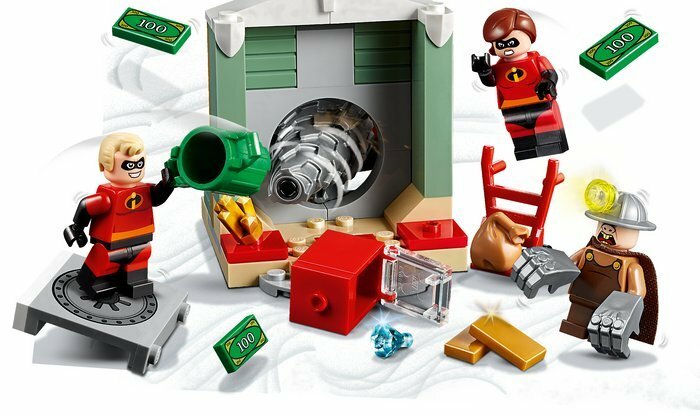 Includes 3 minifigures. 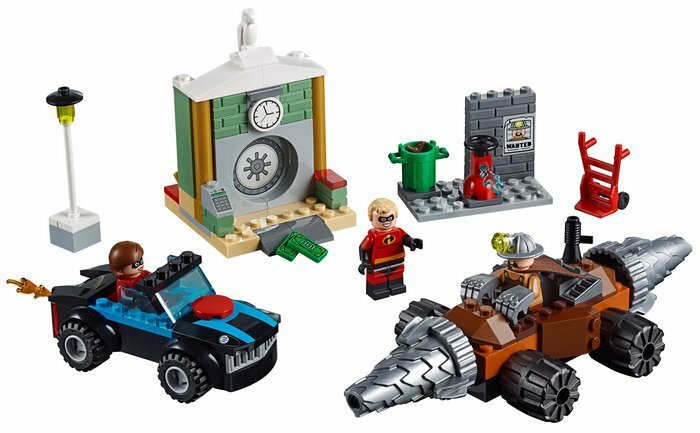 Includes 3 minifigures: Mrs. Incredible, Mr. Incredible and Underminer. 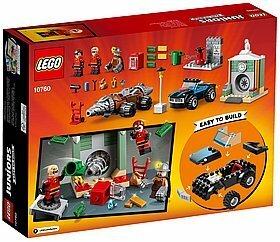 Features a bank vault with breakaway door and a street scene with brick wall, wanted poster and a buildable streetlamp. Also includes 2 vehicles: an Incredibile with Quick Start chassis and a Tunneler machine with Quick Start chassis and spinning drill bits. Spin the drill bits on the Tunneler machine and ram the vault door to break into the bank vault. Haul off the money bills and loot with the hand truck. Accessory elements include 2 money bills, 2 gold bar elements, diamond element, golden nugget, loot sack, trashcan, soda can, stick and a hand truck. 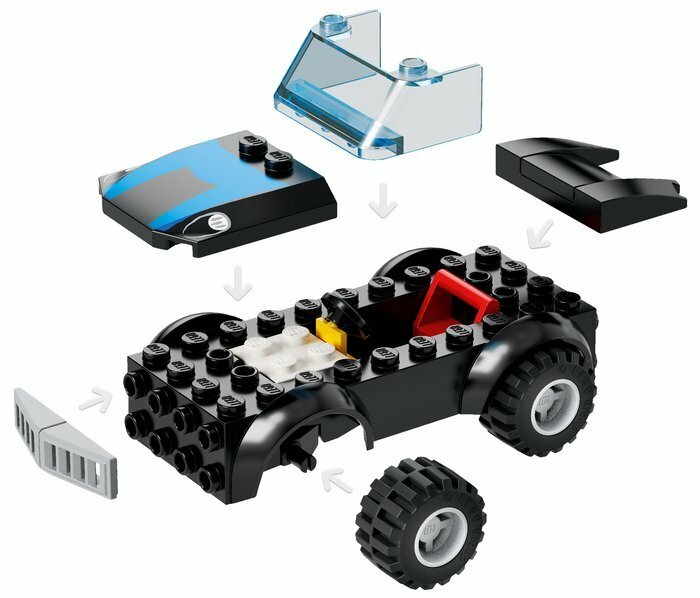 This thrilling toy for boys and girls is suitable for ages 4+. Includes Easy to Build models with Quick-Start bases, plus a simple guide to get children building and playing quickly. 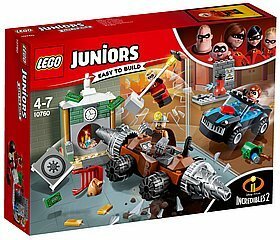 LEGO® Juniors sets are fully compatible with all other LEGO sets. Tunneler measures over 1” (3cm) high, 7” (18cm) long and 2” (7cm) wide. Incredibile measures over 1” (4cm) high, 5” (15cm) long and 2” (6cm) wide. Bank vault measures over 3” (9cm) high, 2” (6cm) wide and 3” (8cm) deep.